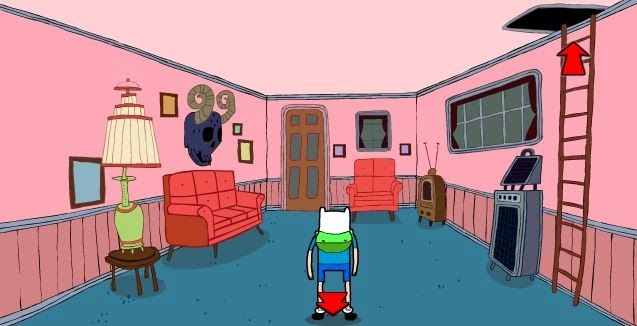 Here is the full walkthrough solution for the point and click room escape game: Adventure Time Saw. 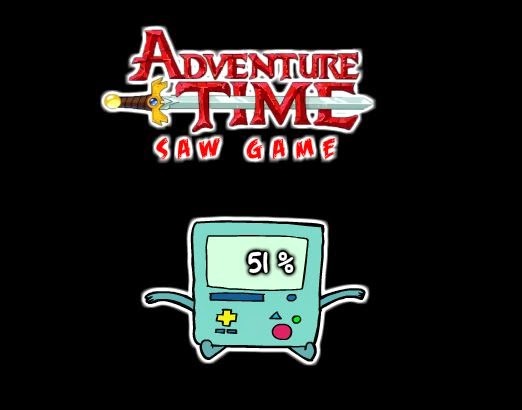 You can play Adventure Time Saw Game here. Find and use objects, solve puzzles, and help Finn escape! 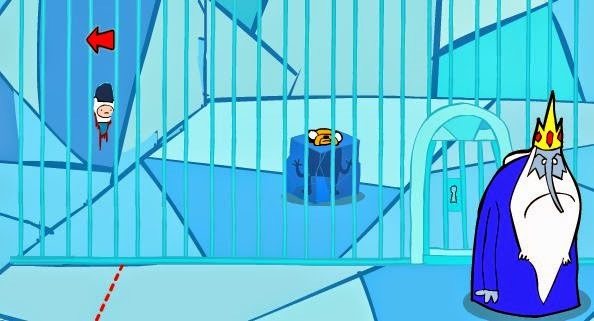 In this adventure escape game the evil puppet Pigsaw as kidnapped Joe to force Finn to play his twisted game. 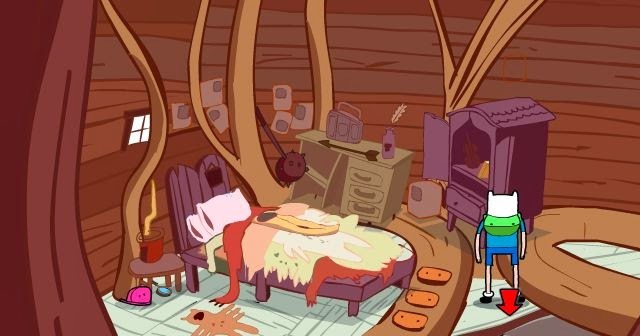 Finn will have to go through several places of OOO, where he'll face more than one danger. 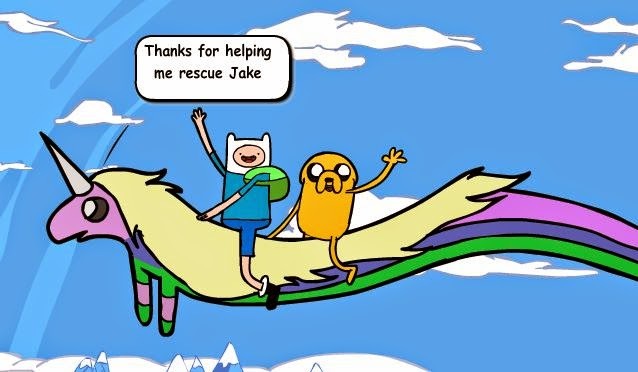 Help Finn rescue Jacke safe and sound. If you are stuck or need help, then this walkthrough will provide all you need. Need some more? Then use the comments section below. This is a medium-difficult escape game and can take you 2 to 3 hours to solve by yourself. Pick up the BMO robot. 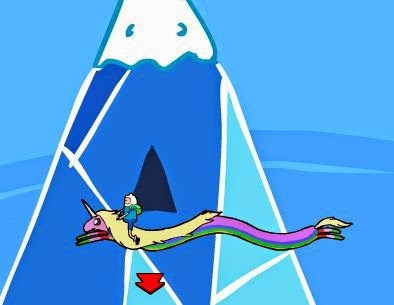 Use the map and travel to the Mountain. Talk to the lumpy warrior to learn about his fate. Travel to the ice kingdom. Take the blue fish bottom left. Use the map and travel to Tree Trunks. Talk to the elephant... why the sad face... learn that he needs some apples. Travel to the Tree Fort. Take the piece of paper... at the base of the tree on te right. Count the digits of each number to get the code - mines is : 4235. Opent he door by using the keypad and enter the code. Take the red gem. Take the bow-and-arrow. Use the BMO robot on the charger on the table. BMO will now be fully charged. Take the Ironman's glove, skull, atomic propeller, and the pink bench. Place the pink bench on the left under the arm. Climb up the tree to the bedroom. Take the pink cap and sleeping bag. Climb all the way down and exit the house. Climb up to the platform. Use the bow-and-arrow to shoot down the bucket hanging on the left. Climb down and pick up the bucket. Use the bucket with the well to get water. Travel to the Candy Kingdom. Take the red book and blue paper. Travel to the magic garden. Talk to the catipilar. Learn that he is freezing. Give him the sleeping bag. You will get the key. Take the 3 yellow and 3 white skulls. Trade the red gem for the briefcase. Look at the blue paper and turn the skulls to match the paper, place the skulls as per the paper. Use the key and unlock the gate. If it does not unlock then you made a mistake in the previous step. Talk to the witch... "I'me just passing by"
Take the basket and golden donut. Travel back to Candy Kingdom. Talk to the guardian blowing bubbles on the left. "I'd like to get inside..."
Solve 2 basic maths puzzles. Notice the letters M, I and D.
Move the Muffin to M, Icecream to I and Donut to D. A bookcase will apear next to the door. Go right and talk to manfred. Learn that he needs something to protect his eyes. Give him the pink cap. He will give you a basketball. Pick it up. Use the red book on the bookshelf to open the door. Take the brown bag containing beauty powder. Take the blue bag containing revealing powder. Take the somniferous from the corner. Talk to the princess to learn she is missing an ingrediant. Give the golden donut to the princess. Talk to Gregory Garcia "How did you get to OOO"... learn he worked restoring paintings. Talk ahgain "why so sad"... something is missing. Use the skull on the tree. Give the broken painting to Garcia. He will now fix it. Go right then right again. Use the iron hand on the brick wall. Use the blue bag truth powder ont he hidden toad on the mushroom. Go back inside the palace to Princess Bubblegum. Talk to the princess "someone told me that you know something..."
Go out of the palace and go South. Talk to Starchy and ask for the password. 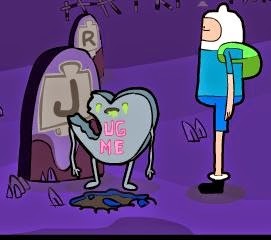 Use the pink serum on the grave at J. Talk to Juanito "do you have memories..."
He will give you the password. Give him the password 2009. "Do you know how can a cure..."
Use the brown bag with beauty powder on the Princess. Add the brown bag to the water bucket. Use the bucket with beauty poweder on the princess. Use the lumpy wheel on the car. Give the painting to Lumpy. Travel to the Duke Of Nuts. Talk tot he Duke. Learn he is afraid and do not have time for the gym. Give him the brawny arm. You will het a strawberry seed. Take the slingshot to the left of the palace doors. Take the onion seed bottom right. Use the somniferous on the fish. Use the fish on the green seed on the left. The octopus will fall asleep. Take the green spinash seed. Use the basketball in the hoop. This will open the door. Get water from the well in the bucket. Pour water on it from the bucket. Repeat with the next seed. You will now have an onion, spinache, and strawberry. Enter the bottom door of the tree house. Eat the spinach to make you strong. Take the sword in the stone. "You'll be lumpier than ever"
Give the sword tot he warrior. You will get a green vampire book. Use the onion in the slingshot then shoot the face of the mountain. The mountain will cry some magical stones. Take the stones. 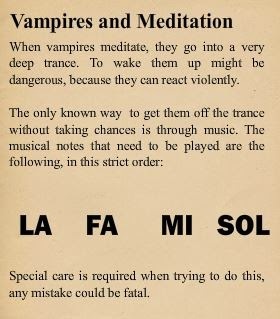 La Fa Mi Sol (You might have a different tune). 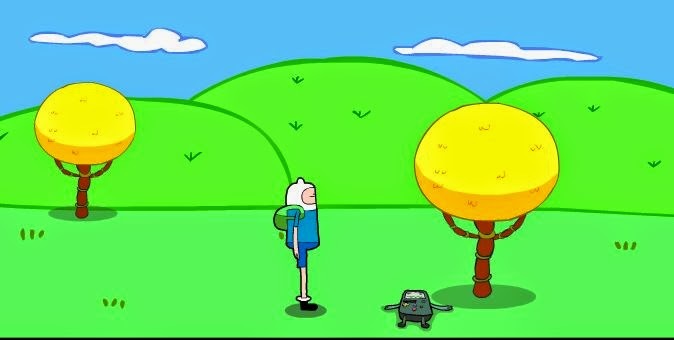 Use the BMO on Marceline. Give her the Hambo in exchange. Give the strawberry to quench her thirst. Use the magical stones on the river to make a bridge. Use the BMO on Rainbow. Enter the fort and climb up and up again to the bedroom. Open the locked drawer with the small key. Travel to the magical garden. Use the axe-bass on the tree. Place the basket on the X. Take the basket with apples. Give him the basket with apples. You will get the pie. Use the flexible container on the elephant to get some coffee. Use Rainbow on the ground in front of the mountain. Use the hot coffee to the left of the mountain opening. Travel to Tree Trunks and re-fill the container with coffee. Use the coffee container on the floor. Throw the anvil at it. 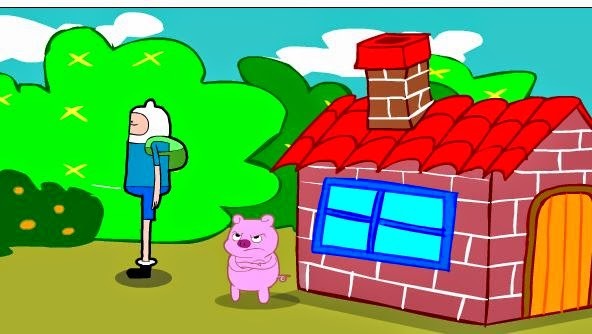 Well done and congratulations on solving Adventure Time Saw Game. I hope you enjoyed my walktrough.